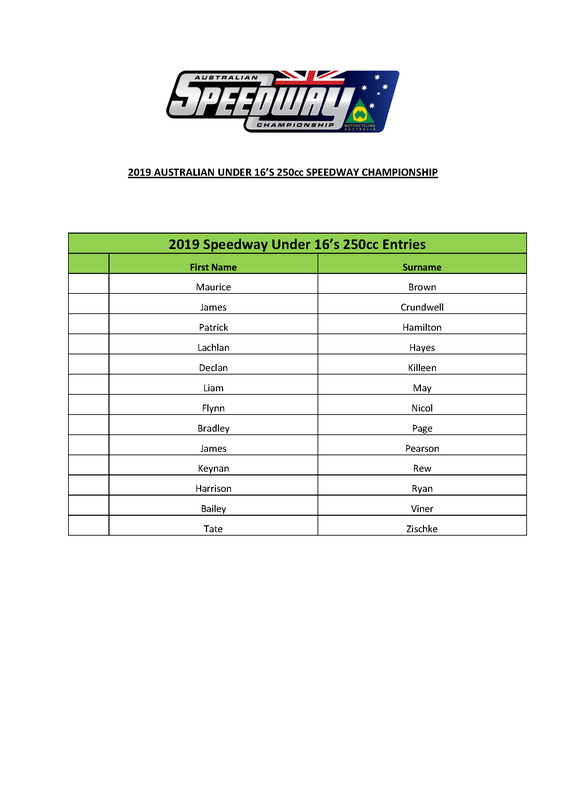 Running in conjunction with the Australian Speedway Under 21’s 250cc Championship on 19th January 2019, the Australian Speedway Under 16’s 250cc Championship is set to be a scorcher. As fans witness Australia’s future Speedway Champions at Ipswich Switches in Willowbank, Motorcycling Australia is pleased to release the official entry list. The 2019 Under 16’s 250cc Championship has drawn 13 successful nominees from across Australia, and the fiery list is sure to leave you in awe as they barrel around the circuit! In a picturesque setting underneath the setting Queensland sun, the evening’s festivities will keep you nice and toasty as each rider vies for their position on the podium. Included in the Under 16’s 250cc draw are upcoming talents such as reigning Champion Keynan Rew, Patrick Hamilton and James Pearson, who are already creating a household name for themselves as they climb up through the ranks!